Open Year-Round: 8 am to 5 pm, Friday-Sunday and Holiday Mondays. Closed: Tuesday-Thursday, Christmas Day, and New Year’s Day. The recreation area is located in the eastern Mojave Desert, 56 miles from Needles on Interstate 40, 116 miles east of Barstow, and 16 miles northwest of I-40 near Essex Road. Located at an elevation of 4,300 feet, the park is surrounded by one of the newest National Parks, Mojave National Preserve. Please note Providence Mountains State Recreation Area, the Home of Mitchell Caverns, is currently experiencing a water shortage. Please bring your own drinking water. Portable toilets are available at the park. We appreciate your patience. Access to Mitchell Caverns is only available via guided tours. Reservations for tours of Mitchell Caverns are taken in person at the Visitor Center or by phone on Mondays from 8 am to 5 pm. Opening dates for tour reservations are staggered three months out. There is also a chance visitors can get onto a tour of Mitchell Caverns by getting on the waiting list in person the day of the tour. To do so, visitors must be at the park. That said, reservations are highly recommended. In order to ensure the safety and health of persons and guard and preserve the property within, the backcountry at Providence Mountains State Recreation Area is closed to all public entry, occupation, or use. The hiking trail to Mitchell Caverns is only accessible to those on tours. The picnic area and two hiking trails (the Nina Mora Trail and Mary Beal Nature Trail) are open to all park visitors. After being closed for nearly seven years due to major infrastructure upgrades, Providence Mountains State Recreation Area reopened on November 3, 2017. 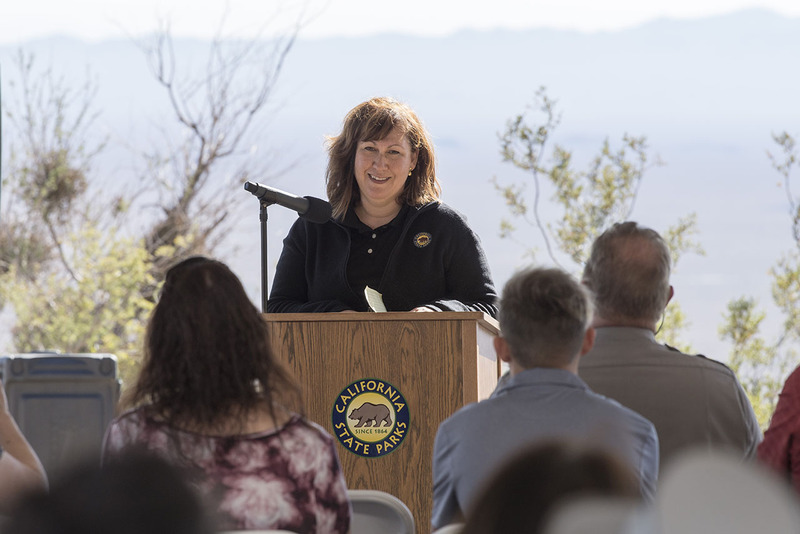 Outdoor enthusiasts will once again be able to enjoy one of the most iconic and time capsule parks in California. This unique and remote travel destination offers a frontier experience of timeless landscapes and breathtaking views. The park is also home to the beautiful Mitchell Caverns, a diverse habitat full of limestone cave formations and unique wildlife - everything from bats to tiny pseudoscorpions and more. We invite you to visit this iconic state recreation area. There are a number of day-use activities available for the public including tours of Mitchell Caverns and park trails. Also, Providence Mountains State Recreation Area is located within the Mojave National Preserve. Visitors can visit Providence Mountains early in the morning and explore the other wonderful sites within the Mojave National Preserve including camping under the stars. Tours: See “Tour” section below. Jack and Ida Mitchell ran a resort from 1934 through 1954. Activities included tours of the Mitchell Caverns. In 1972, the caverns and the reserve became part of Providence Mountains State Recreation Area. The caverns include two main caves named El Pakiva (The Devil’s House) and Tecopa (after a Shoshonean chieftain). Rimstone dams formed around edges of ancient pools of water. Curious formations of helictites are seen throughout the caves, which take random gravity-defying shapes wander in various directions. Spectacular and intricate limestone formations found include stalagmites, stalactites, helictites, lily pads, draperies, curtains and cave coral. The trail to the caverns is only accessible to those taking tours. The most popular months to visit are October through May. Temperatures inside the caverns vary slightly from chamber to chamber but generally range in the 60s. The location and the natural state of the caverns do not allow for trails to be ADA accessible. 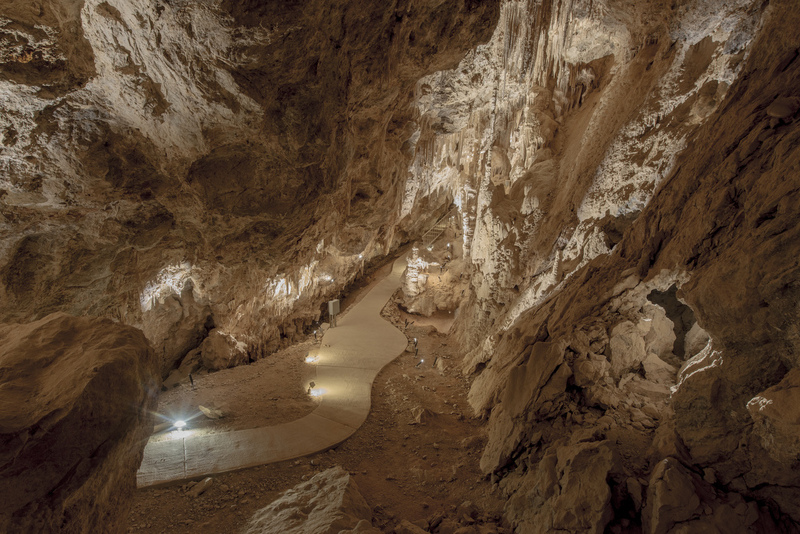 Also, the cavern formations create areas as low as 62 inches and as narrow as 14 inches. For those that cannot make the hike, a video tour of the caverns is available for visitors to watch at the visitor center. 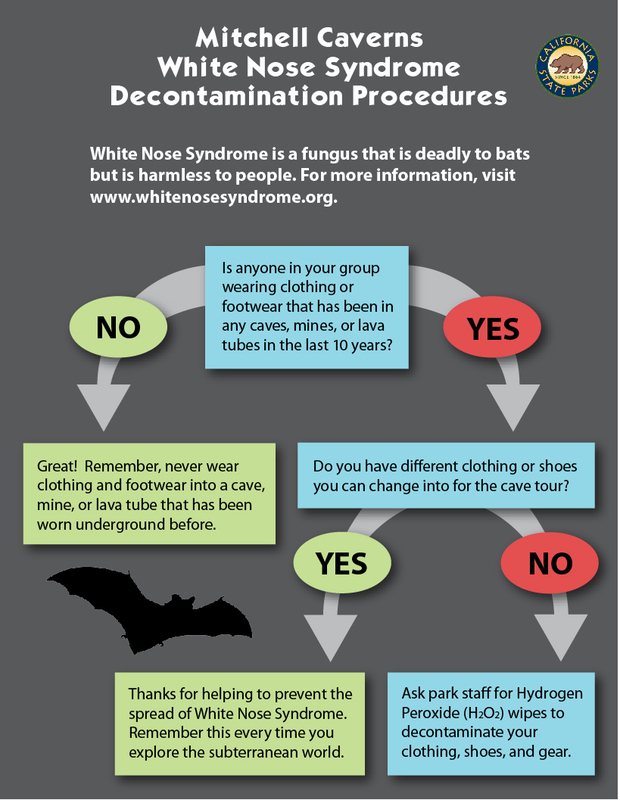 If you are planning to enter the caverns, please be make sure that shoes, clothing or gear have not been in contact with the White Nose Syndrome (WNS) that affects bats. 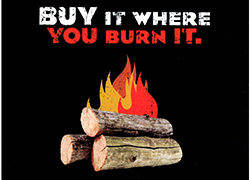 It is important not to bring clothing or gear that was previously used in a WNS-affected site. 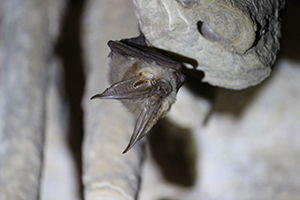 WNS is a fungal disease killing bats in North America. 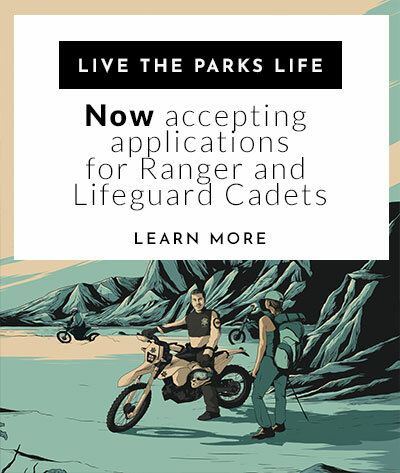 For more information about the WNS, visit the National Park Service website. Tours: To ensure the natural integrity of the caverns and animal habitats, only two tours per day will be given. 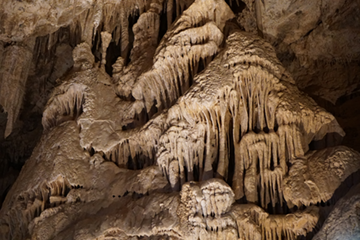 Tour Details: The tour involves a 1.5 mile strenuous roundtrip hike to/from Mitchell Caverns and an hour guided tour of the cave. Summer Tours (June-August): 10 a.m. Fridays through Sundays (including holiday Mondays). Reservations: Required. 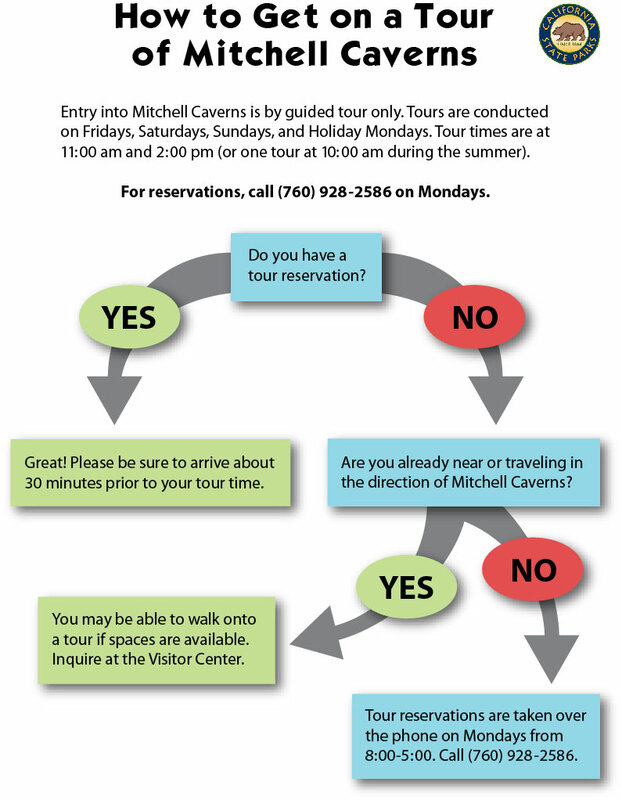 Tour reservations for the Mitchell Caverns, will be taken by phone only on Mondays between 8 a.m. and 5 p.m..
Do not expect to get a spot on a cave tour without a reservation. Space is limited and tours fill up very quickly. Reservation holders must arrive and pay for their tours at least 45 minutes before they are scheduled to depart. Two trails are available to the public at Providence - Mary Beal Nature Trail and Niña Mora Trail. Mary Beal Nature Trail located near the park's visitor center, is a self-guided half-mile moderate walk through a diverse array of desert plants. Niña Mora Trail is named for the child of a Mexican silver miner who worked here in the early 1900s. The half-mile moderate trail passes near the child’s grave marker and offers matchless views of desert grandeur. Providence Mountains is home to a variety of wildlife and vegetation. They are integral parts of the ecosystem and natural community. As such, they are protected by federal, state and park laws. Viewing animals from a respectful distance. Never feed or touch wildlife. Do not approach or attempt to move sick or injured animals. Please report encounters with aggressive, sick or injured animals to a park ranger. Wildlife living at Providence includes bighorn sheep, mountain lions, coyotes, bobcats, badgers, Antelope squirrels and cottontail rabbits. The Chemehuevi people, a branch of the Southern Paiute, have lived in the Mojave Desert for thousands of years. Among the local resources used for foods were pinon pine nuts, agave hearts, yucca, and even chuckwallas. The Chemehuevi people, a branch of the Southern Paiute, lived in Providence Mountains for at least 500 years. They migrated into the area about 1,000 years ago. The historic home of Jack and Ida Mitchell is now the visitor center at Providence Mountains State Recreation Area. Excavation in the Mitchell Caverns found the upper arm bone of a giant Shasta Ground Sloth that has been dated as being over 10,000 years old! In the caverns, the small amounts of groundwater overtime became saturated with dissolved calcium from the limestone parent rock and created the thin layers of calcite crystals. Starting in the 1860s, prospectors arrived in the area, seeking their share of silver, lead, gold and copper. Make sure to have plenty of water, more than you think you would need. Bring food. There is none available at the park or within 25 miles. Cell phone coverage is spotty or nonexistent. Bring a map and know your route before leaving home. Dress appropriately. Bring layers of clothing. The desert can be very warm or very cold, and weather patterns can often shift within the same day. Wear appropriate shoes for hiking such as close-toed shoes. Fill your car’s gas tank. Nearest town with amenities is 56 miles away. Know symptoms and treatment of dehydration, heat exhaustion and heat stroke. Watch out for snakes, scorpions, spiders and other animals. 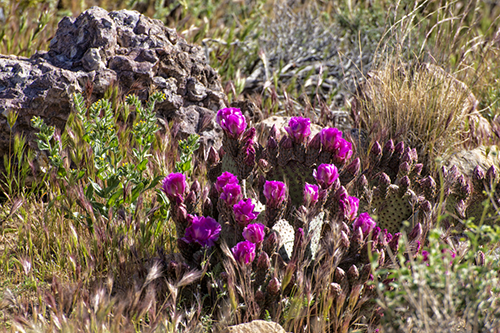 Also be aware that most desert plants have thorns or spines for defense. Pack a first aid kit and become familiar with it. The park is located in the eastern Mojave Desert off of Interstate 40, 56 miles west of Needles, 116 miles east of Barstow, and 16 miles northwest of the Essex Road exit. Located at an elevation of 4,300 feet, the park is surrounded by one of the newest National Parks, Mojave National Preserve. Caution- be prepared to travel in the desert! The nearest fuel station to the park is 24 miles away in Fenner. Carry water in your vehicle in case of an unexpected situation. Food is not available at the park, so plan ahead for meals. The best weather occurs in the Spring and Fall, but, because of the 4,300 foot elevation at the visitor center, temperatures usually remain moderate throughout the year. The Providence Mountains State Recreation Area contains the oldest rocks in the state park system and some of the most spectacular limestone caves in all of California. The caves are important to visitors for their spectacular beauty, but they also provide abundant information about the geologic and climatic history of the region. For tour reservations of Mitchell Caverns, call 760-928-2586 on Mondays between 8 am to 5 pm. 11 am and 2 pm Fridays through Sundays (and Holiday Mondays) October through May. 10 am only Fridays through Sundays (and Holiday Mondays) June through September. Pets are only permitted in the Visitor Center, parking lot, and picnic area of the park. They must be on leash at all times. Pets are not allowed inside Mitchell Caverns or on trails. Pets can not be left unattended in vehicles or other areas of the park.